This was my fourth visit to 13 Gypsies, and it was the visit that changed my mind about eating here. After three tries, I gave up and stopped thinking about this place. My foodie friends eat here often and I always decline based on past experience. They rave about the Queso and Risotto, on and on about these dishes. So tonight when the call to dinner came, and I was needing a friend fix, I relented and made my way over. 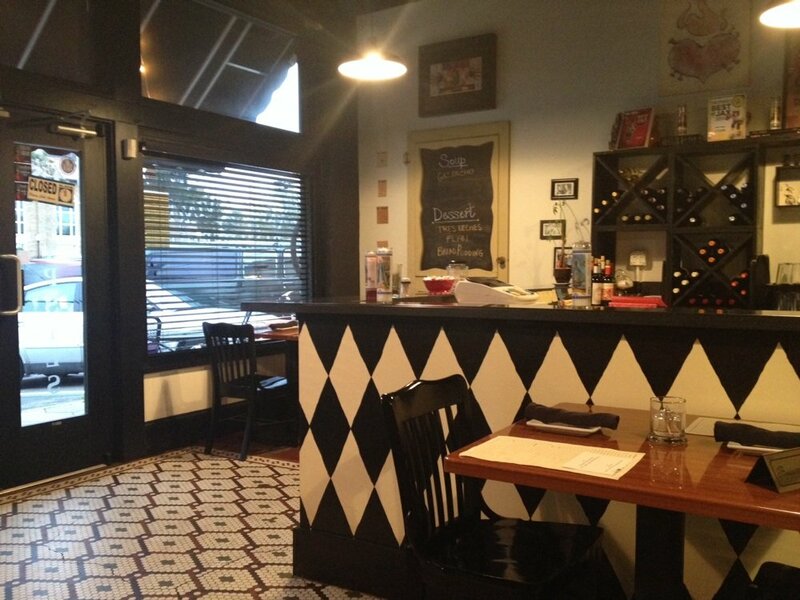 The restaurant itself is a mere “hole in the wall” spot with seven tables and seating for 20 and a close 20 it is. Reservations are a must, this is a hot spot for the residents of the area and getting in can be a challenge, but worth it. The bread is made daily, by hand, plus they make their our own sausage, cheese, cured meats, pickled vegetables, spice blends, and fresh pasta. Menu changes with the seasons and availability of produce. Not many restaurants can boast as much. A nice brunch is served on Saturday. Let’s get to the food, we started with the Cream De Queso. Please do not think of the runny cheese like stuff served with a side of tortilla chips. 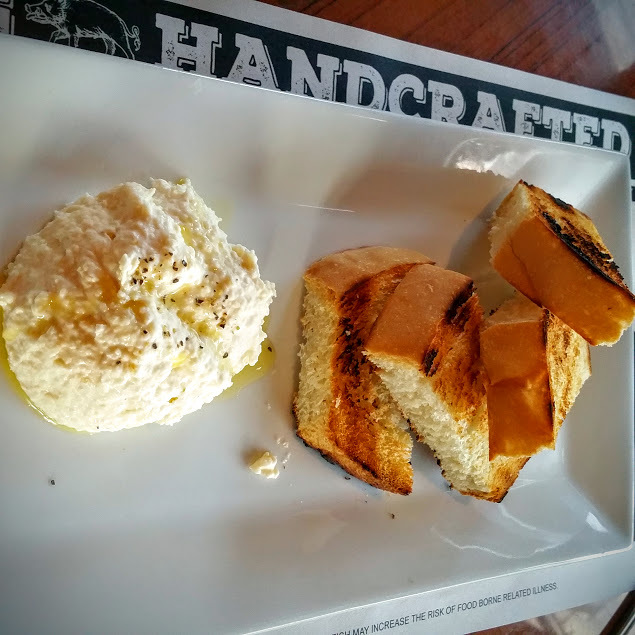 Think fresh handmade cream cheese, the best EVOO, and large slices of grill toasted home-made bread slices. I can not recall ever having a dish like this. The flavor and texture were a perfect in the mouth. The bread paired perfectly with the cheese. I was slowly being converted. 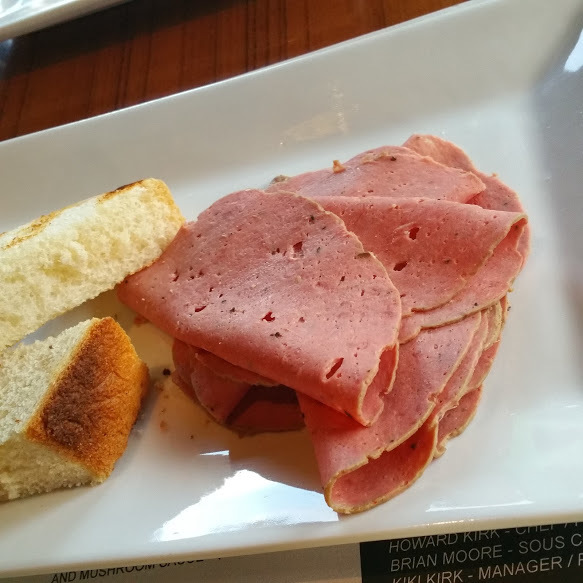 Our next plate a house made meat dish Phologna, yes home-made Pho spiced bologna, with the wonderful bread. Now on high alert, about meat tasting like Pho, I was skeptical. Well I am pleased to say, if you close your eyes and just taste, it is every bit the flavors of Pho. Served thinly sliced with the bread, it was quickly devoured. I’m getting weak. Now some Mushroom Sevilla, Thinly sliced mushrooms, in a rich Cream Sherry sauce with the home-made bread slices covered in goat cheese. What a combination. 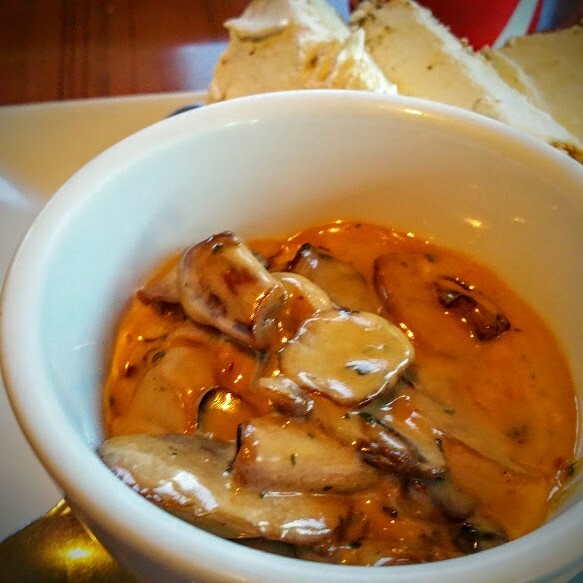 The bread and cheese combination by itself is ample, but with the mushroom the only word is amazing. Full now on the many small dishes, we move on to more ambitious choices. Option 1 was the Risotto of the day, and today was ham day. I am a huge Risotto fan and like to make my own for guests, so they had to prove it to me and they did. Rich smoky flavors drifted up into the air when the dish was placed on the table. Rice was perfect and creamy and needed nothing to make it better. By now I am in 75% converted. 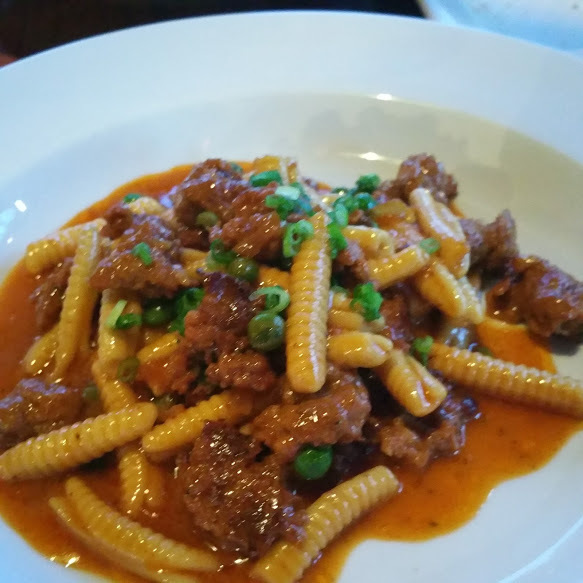 Now we’re on a roll, Cavatelli Pasta, with house fresh Chorizo and sweet peas. I am now in overdrive, food wise. These dishes are hitting on all cylinders. The meat was amazing, nothing like the processed meats so often used in similar dishes. Pasta perfect al dente. and peas firm and plentiful. Not seeing anything of interest, I asked our server if she would ask Chef Howard to surprise me with a dish. My only request was no soft egg, or egg of any kind. 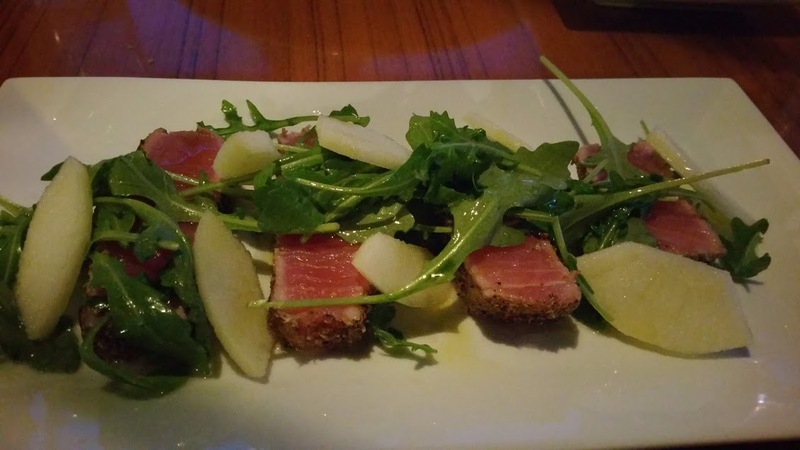 What i was served was an ample portion of seared Ahi Tuna, arugula, dressed lightly with EVOO and slices of pickled apples. I was a little disappointed, hoping for something more creative from Chef Howard, but the kitchen was busy and everyone in there was going on full speed. That being said the dish was very satisfying, tuna sweet and just warm, paired nicely with the peppery flavor of the greens and the pickled apples were most unusual. Just looking at the dish, it is evident the care required to assemble it. I applaud him for taking the time to do a dish not on the menu. Finally we finish with one large portion of Tres Leches and four spoons. 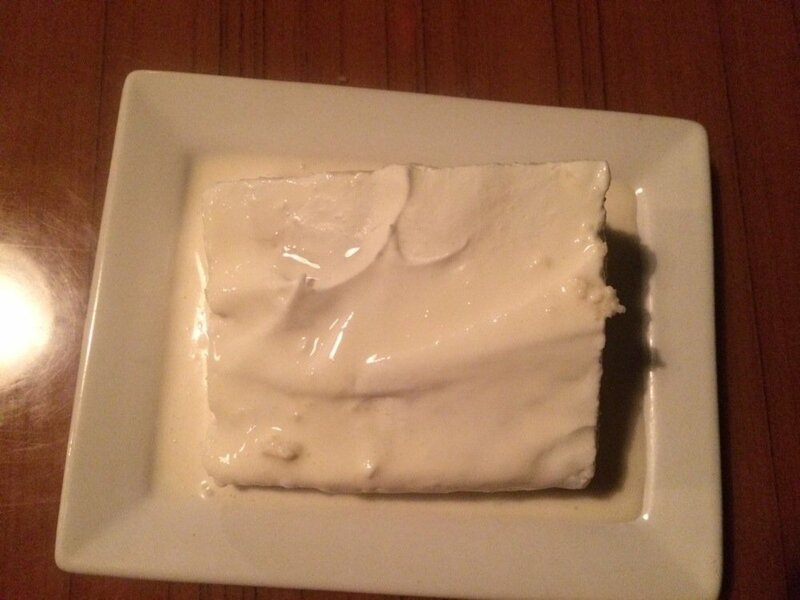 If you have never tasted this dish, please treat your self and do so the next time you find it on a menu, or just go to the best dessert place in town and get some. A sponge cake soaked in three kinds of milk, what could be wrong about that right? So I am now converted. Like any restaurant, if you’re not ordering the right dishes you will not be a happy diner, that was my problem. I will eagerly tag along next time the crew ventures out to enjoy the offerings of chef Howard and his staff. If you are in the area or plan to visit please let me encourage me to give this spot a try. Hi Anna, Great to see you here! I miss our meetups, especially when we went to little dives that were yummy and reasonable. We did have some interesting events. Hope all is well in your world and thank you for reading the blog. We did! Enjoying yr gastronomical adventures.